New York, NY – November 1, 2016 – Vela, a global leader in high performance trading and market data technology, today announced the continued expansion of its market data coverage, adding a variety of new direct market feed handlers and gateways including a growing number across the Asian markets. The venues span multiple global exchanges and cover asset classes including futures, options, equities, foreign exchange, indices, derivatives, index futures, and index options. 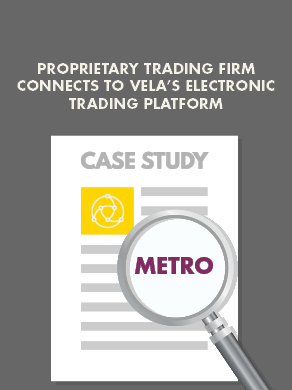 Vela's SMDS direct data feed handlers are developed and built entirely in house with no third-party dependencies and provide market data access to an ever-increasing number of global trading destinations. Vela now offers over 250 venues and is constantly adding new SMDS feed handlers to this list in line with client requirements. The feed handlers deliver low latency processing of market data events and can also be configured to deliver data to multiple applications in an enterprise setting. With the growing interest and activity in Asia, Vela has also added new SREX market access gateways to its inventory to support order flow to liquidity pools in Tokyo, Osaka, India, Singapore, and Hong Kong. The Hong Kong market access solution supports the China Connect Open Gateway Interface, which connects the Hong Kong and Shanghai exchanges, to allow firms to trade eligible shares on the other market. 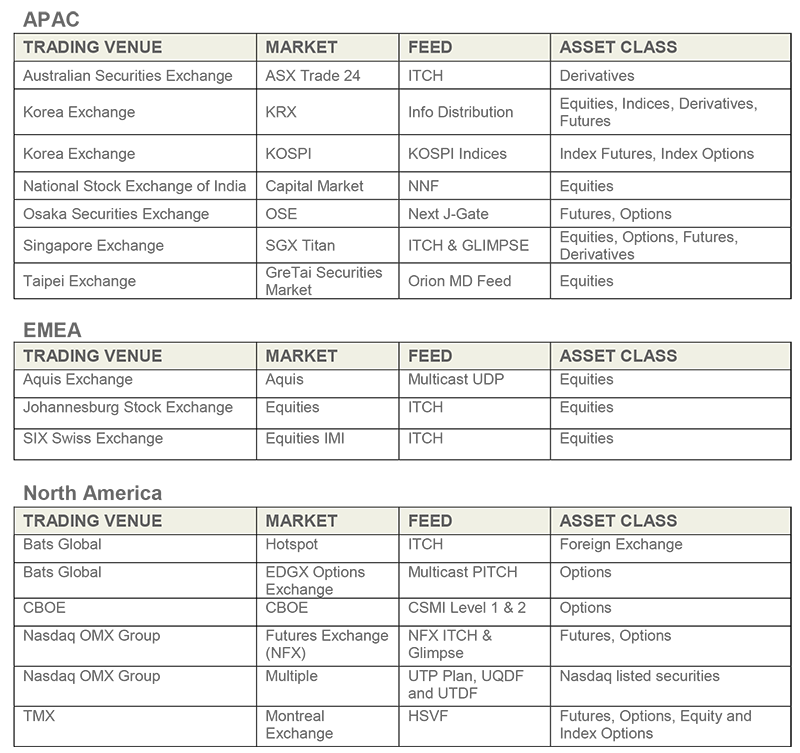 The table below provides an overview of the latest feed handlers added. Please visit our website for a complete list of market data feeds and market access gateways supported.